My grandfather, Roy C. Deaver, left this life on March 2, 2007 at the age of 84. To the church, he was Roy Deaver the preacher. I’m sure no man knows how many thousands of sermons he preached across the country—how many souls heard the gospel through his voice, even if it was raspy for years after a horse accident that broke his ribs and temporarily paralyzed his vocal cords. He was Roy Deaver the defender of truth in countless debates with error, yet always concerned for the soul of the one he was opposing. He was Roy Deaver the helper, always willing, when asked, to visit a congregation in peril and help them work through threatening problems, or help a preacher prepare for an upcoming debate. He was Roy Deaver the writer, penning thousands of pages in articles, class notes, books, and his personal publication, Biblical Notes. He was Roy Deaver the teacher, spending decades in the classroom giving his all to the training of another generation of preachers to carry on the work. He was Roy Deaver the Greek scholar, always ready with a new jewel from the New Testament in koine. 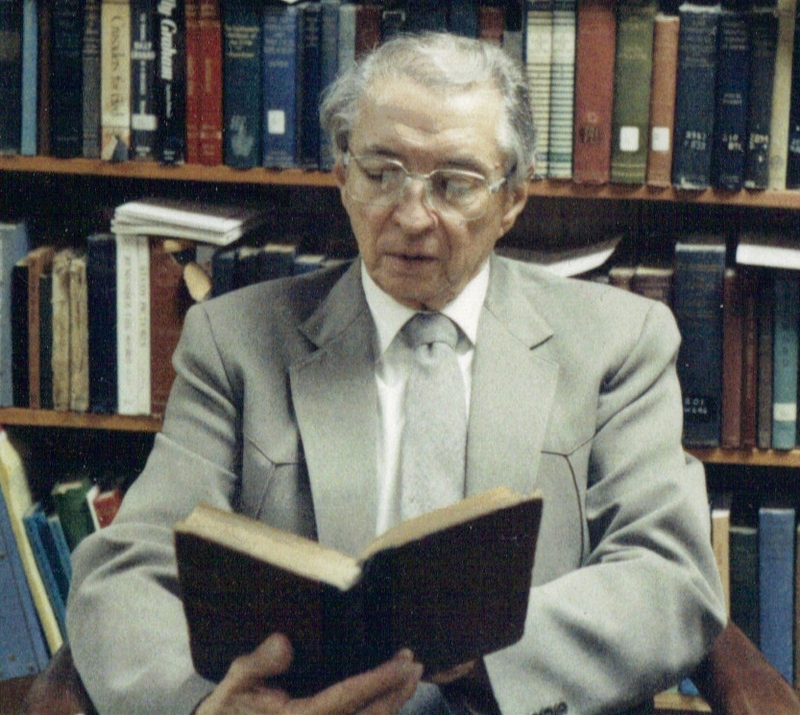 He was Roy Deaver the administrator, serving as founding president of Fort Worth Christian School and founding director of the Brown Trail School of Preaching and vice-president of Tennessee Bible College. He was Roy Deaver the elder, concerned for the individual sheep in the flock where he served. In fact, at one time, he was an elder, preached every Sunday, taught classes all week, directed the preacher school, conducted numerous gospel meetings, and did all this simultaneously. How he did that I may never know, but the Lord blessed him with the energy and drive to rise early, stay late, and do all for the gospel’s sake. In fact, he used to pray to God to “wear us out in Thy service.” He meant it. To his grandkids, he was “Dede.” However the name came about, it stuck, and that’s what I called him all my life. You might not think his frantic schedule allowed any time left for grandkids, but somehow it was there. I’m sure I roamed into his study many times as he concentrated on some important thing, but he never shoed me out or made me feel unwelcome. He was more likely to stop whatever he was doing and divert attention to the visiting grandson. When I was little, he sawed a scrap of lumber into two rubberband guns for my brother and me. I still have mine, and it saw fierce combat in heated battles of my fun-filled youth. When I was nine, he took my brother and me to the movie theater to see Star Wars. I’m convinced he didn’t understand a frame of the entire movie, but he did it for the grandkids. Country music was something he did understand (having sung on the radio, himself, with his own band, way back in the day), and he twice took me to see the Statler Brothers in concert. When I was an early teenager, he and my grandmother taught me how to drive a car (his stick-shift, silver Subaru) in the cow pasture. If I asked him a question, he might reply that it would be a good subject for me to do some research on (now I torture my own kids with the same answer). He liked to go for drives in the Tennessee countryside. One time, I was in a Beatles music phase, and I went with him, taking an audiotape of those songs to play loudly in his car. Looking back, I’m sure the music was not to his taste, but he didn’t complain and let me blast it out anyway. Talk about longsuffering. And, there still are “so many things I don’t know.” But I do know this. Precious in the sight of the Lord is the death of his saints. Dede, I will see you after a while.